Nowadays, unless your name is John Dwyer or Ty Segall, releasing two albums in a year is going to raise at least a couple of eyebrows. Thankfully, Austin's alt-rock troubadours White Denim have proven they're up to the challenge. Side Effects is kaleidoscopic, both in terms of sound and selection. From punk to funk, cosmic rock to acid jazz, the album at times sounds like the rumblings of a righteous garage rock outfit ("Small Talk (Feeling Control)," "Hallelujah Strike Gold"), then immediately switches gears and becomes the soundtrack to a network cop show ("Shanalala"). 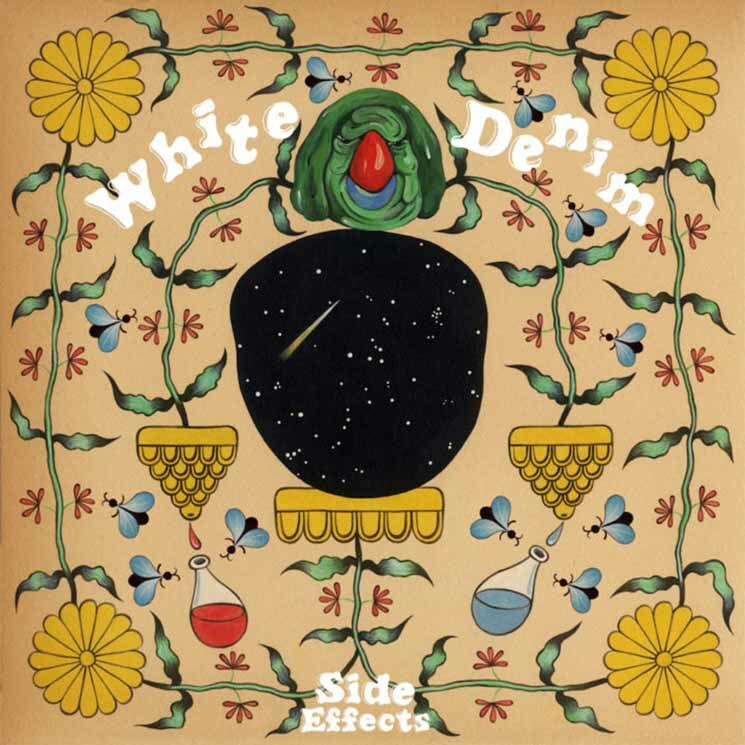 Side Effects may be a perfect introduction to the unfamiliar listener: a loose combination of the many styles and affectations White Denim have to offer, all wrapped up in a tight 30 minutes. Longtime listeners will no doubt appreciate the classic Denim leitmotifs littered throughout, too, highlighting the fact that Side Effects was built from demos and rough mixes that predate even some of the group's earliest work. That said, compared to last year's Performance, Side Effects feels considerably less focused. Songs off the former — the prog marathon "Moves On," the horn-filled "Magazin" — spoke to a much larger production and conceptual theme than this new release. While the band have become known for sprawling songs and freewheeling guitar solos, Side Effects is largely devoid of these big bombastic moments, save the seven-minute incision "NY Money" that centres the album.